The book of Esther is famous for being the only book of the Bible that does not mention God. 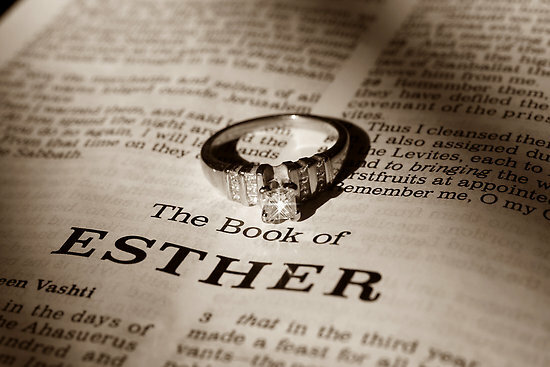 Where is God in Esther? Is He just working “behind the scenes”, inferred and “providential”, rather than explicit? And is the God of Esther the God of the gospel that we believe in as Christians? I was reading the story again today, and I saw Queen Esther approaching the throne of King Ahasuerus without being summoned. The law of the land was clear about such an action: “…if any man or woman goes to the king inside the inner court without being called, there is but one law — to be put to death…” (Esther 4:11). In fact, under the Old Testament law, only the selected High Priest could step into the inner court (the holy of holies) in the tabernacle (and later, temple). He would have a rope tied to his ankle because in the event that he had overlooked a cleansing ritual and stepped in while unclean, he would drop dead and had to be dragged out. Only Jesus can see God and live. In other words, when you stepped into the king’s presence, the only reason you would continue breathing is if the king chose to be merciful to you. Otherwise, the only guarantee you had is that you were walking to your death. The throne of king Ahasuerus was a throne of wrath and death for those who approached it uninvited. So was the inner court of the God of the Jews. Then in steps Jesus, one who has never sinned. This means that Jesus as our High Priest could walk into God’s presence with full confidence that He will live to talk about it! But it gets better! God says that if we believe in Jesus, and look to Him as our High priest, we move into Him and He moves into us. He lives and reigns in us and through us! This means that we can boldly approach the throne of God because we have confidence that when God looks at us He sees His son. Instead of extending a condemning finger, He extends the golden scepter of grace. He lets us live. But it gets even better! In the story of Esther, only those who entered the king’s court without being summoned deserved to die. But now, through Christ, God is actually summoning us! telling us to come! We know we can approach Him with confidence of life. And even when we doubt whether we have been called, we know we can still approach Him with confidence that Christ has paid the price of death for us.